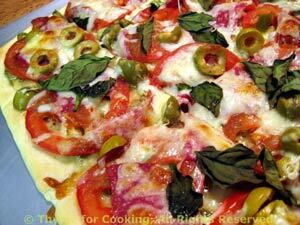 Easy Dinner from Thyme for Cooking: Salami Pizza. One last pizza, while we can still get some decent tomatoes. This is closer to an American-style pizza. 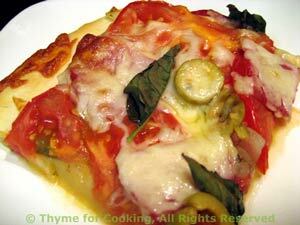 Substitute pizza sauce for the fresh tomatoes, if you prefer.... And a purchased crust for the homemade. This will be our last pizza for awhile. Depending on appetite, have some fresh, seasonal fruit on hand for dessert. Some sliced figs or apples, with a bit of cinnamon and ricotta? Something seasonal - caramel apples?